My poor Silhouette has been working over time the last few weeks. Between Halloween Party invitations, planning our 10 year High School reunion decor, to my little girls 5th birthday party. That machine has done wonders for me. This past weekend was my daughter Leesie’s 5th Birthday party. It was such a fun party! I was first just going to get some pizza and a bounce house and call it good, instead 2 days before the party I had a burst of energy and decide to do some decor. Leesie picked a mermaid party theme and I got to work. Today I am just going to talk about a part of the decor and next week I will finish up with part two. 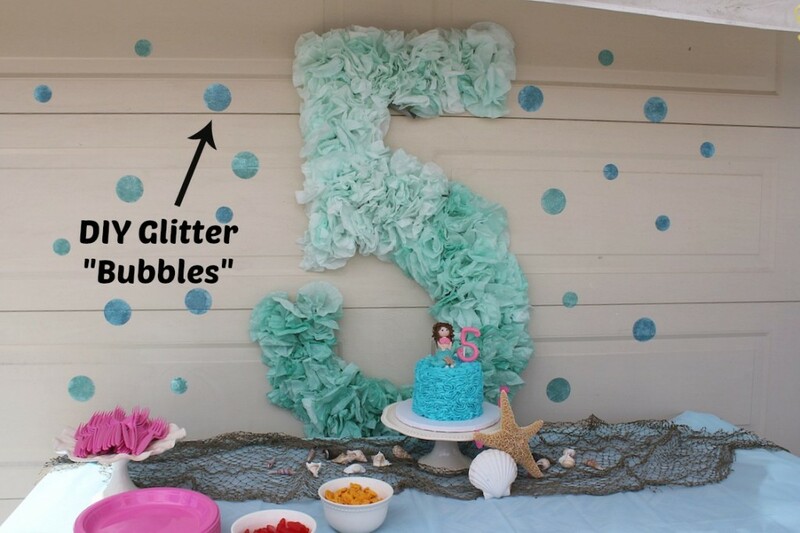 I cut out and glittered blue and aqua “bubbles” and I stuck them onto the garage to add a little more texture to the party decor. First I got the Double-Adhesive Starter Kit which had everything I needed including the glitter! 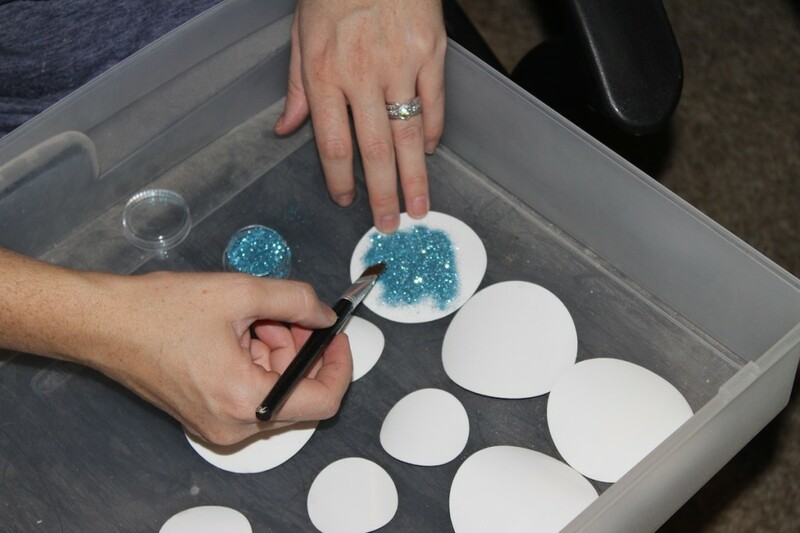 I cut out the circles using the Silhouette Double sided adhesive… then I began to glitter, which is always my favorite part! I laid the circles in a little bin and sprinkled the glitter on then with the brush that came in the kit I spread the glitter on to make it more even. 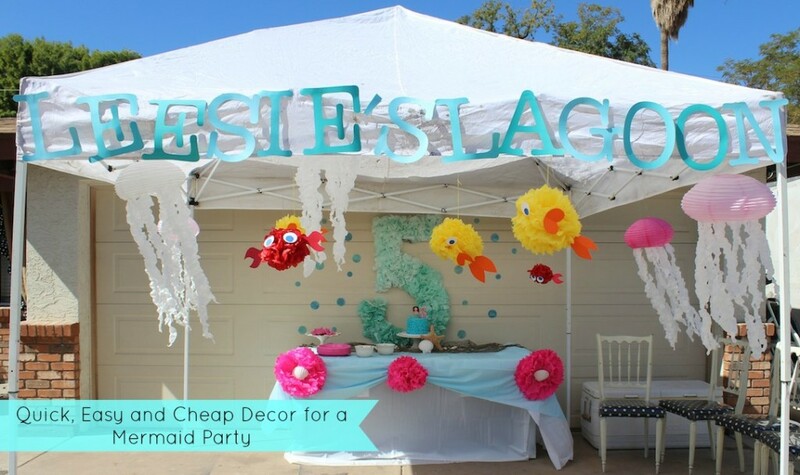 Then, I simply peeled off the back and stuck the “bubbles” to the garage to finish off the backdrop of the main party table. I am obsessed with the way it turned out! I wish I would have done my Dot Wall with glittered dots instead of just gold dots. Lets be honest… I will have glittered dots in no time. But really…. how cute would this be in a little girls room or playroom.The double adhesive paper is amazing… the possibilities are endless! Silhouette has a ton of awesome new products perfect for making any kind of party decor you can think of! They now have the double sided adhesive, clear sticker paper, kraft paper, chipboard and more! It’s awesome. Whether you own a machine or not, there is a deal for you! 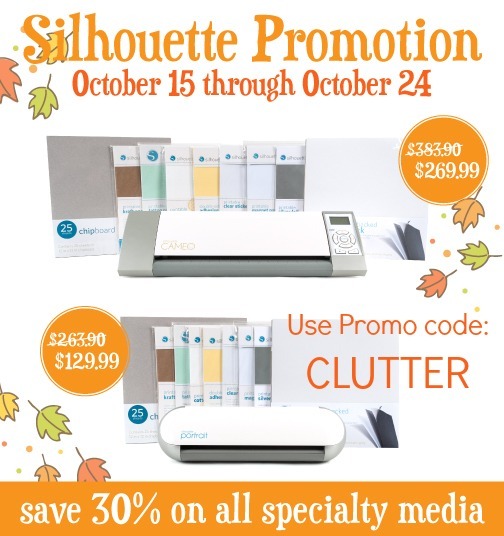 (3) If you already have a machine, you can enjoy 30% off on all specialty media using promo code CLUTTER. This post is brought to you by Silhouette America. We were given products to try but, as always, all opinions are 100% our own. I love the “pinatas”. Where did you get them? My daughter loves mermaids and this year will be 5. Compliments for ideas! !